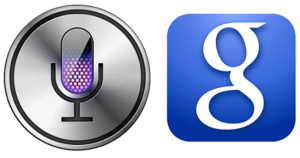 Siri vs. Google Now – Which Do You Prefer? Which do you prefer – Apple iOS’s Siri or Google Now? My friend Jeff Richardson took an in-depth look at the two and discussed the pros and cons at iPhone J.D. I’m curious to hear which my readers prefer and why. Take a look at Jeff’s excellent article and let me know your thoughts in the comments below. Episode 19 of the MILO Chat Weekly podcast – “iOS 5 and OS X Lion” – is now live and ready for your enjoyment. In this episode, your hosts Ben Stevens and Finis Price discuss Apple’s big announcements at WWDC 2011, including iOS 5 and OS X Lion with our guest Randy Juip. Subscribe to this podcast using iTunes by clicking HERE. Download the podcast directly by right-clicking and saving HERE.